Montagne d’Or gold mine. Photo by Columbus Gold. 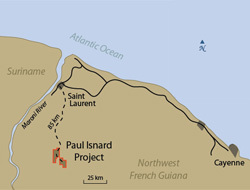 Columbus Gold (TSX: CGT; US-OTC: CBGDF) announced today that its joint-venture board, where Russia's Nordgold (LON: NORD) participates, unanimously decided to proceed with construction of the Montagne d’Or gold mine in northwest French Guiana. But the process of building up the mine won't start right away. According to a press release issued by the Vancouver-based firm, before any heavy equipment touches the ground, both companies have to go through public consultations and receive required permits. Following the public talks, the miners have to submit mine permit applications, something they expect to do in the third quarter of 2018. Since the project is deemed socio-economically important, the consultation process is done under the oversight of the French National Public Debate Commission. The hearings are understood as a mechanism to ensure that the public is able to participate from the planning phase onwards and has a say in the major decisions that are made. Montagne d’Or gold mine. Map by Columbus Gold. In the media statement, Columbus explained that the information and feedback sessions will extend over a four-month period beginning around March 2018 and followed by the delivery of the Commission’s assessment report. This final document will give the Canadian and Russian miners the opportunity to make appropriate project adjustments prior to the submittal of mining, environmental and construction permit applications to the French Administration. On the other hand, Montagne d’Or's Environmental and Social Impact Study will be delivered in the first quarter of 2018, following the completion of a supplementary in-fill geotechnical drilling program currently underway. Columbus and Nordgold have delineated proven and probable reserves of 2.75 million ounces gold. 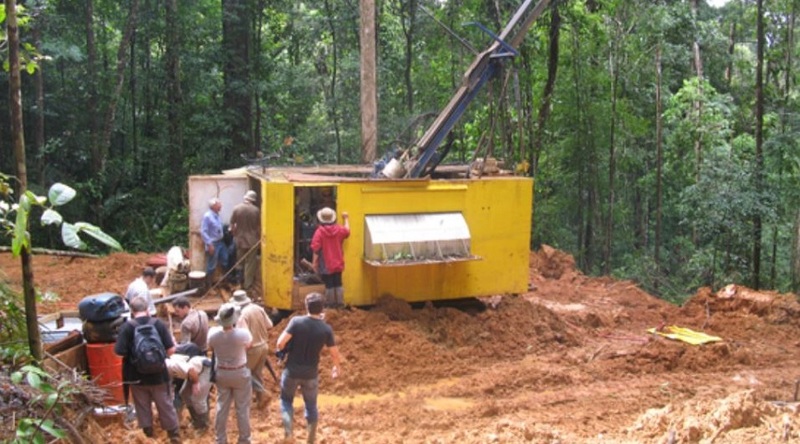 Results of a Bankable Feasibility Study carried out in March of this year and published on Columbus’ website demonstrated an open pit mining operation with average annual gold production of 237,000 ounces over the first 10 years of mine life at an average grade of 1.73 g/t gold that results in an average AISC of$749 per ounce.